Kris & David are guestless as we discuss the week that was March 27-April 2, 1993. We talk about WCW planning for the initial Slamboree as well as dealing with people coming and going from the roster. We also talk about the biggest win of Toshiaki Kawada's career so far, WAR doing big business with help from New Japan, AJW's humongous Dream Slam show, SMW's Bluegrass Brawl which featured maybe the greatest match in the history of the promotion, and a wild week in Dallas. And perhaps most famously, we’ve got Jim Ross announcing that he’s joining the WWF and interviewing Vince McMahon…on his WCW-sponsored radio show. All that and more on a damn fun episode of BTS!!!!! Timestamps: 0:00:00 WCW 0:45:53 Japan: AJPW, NJPW/WAR, FMW, NOW, W*ING, & AJW 1:33:55 Classic Commercial Break 1:39:29 Housekeeping/The Amazon Game :2:24:38 Other North America: Canada, AAA, CMLL, & UWA 2:37:54 Other USA East: Nailz potatoes Jake Roberts, New England, ECW, ICWA, SMW, USWA, & USA 3:40:45 Other USA West: Larry Matysik, GWF, Big D, UWA, CWUSA, Bob Orton Jr. vs. Louie Spicolli, & Wade Keller in the Chicago Tribune 4;02:14 WWF 4:31:15 Patreon Preview: WCW hasn’t exactly SIGNED Hulk Hogan yet… To support the show and get access to exclusive rewards like special members-only monthly themed shows, go to our Patreon page at Patreon.com/BetweenTheSheets and become an ongoing Patron. 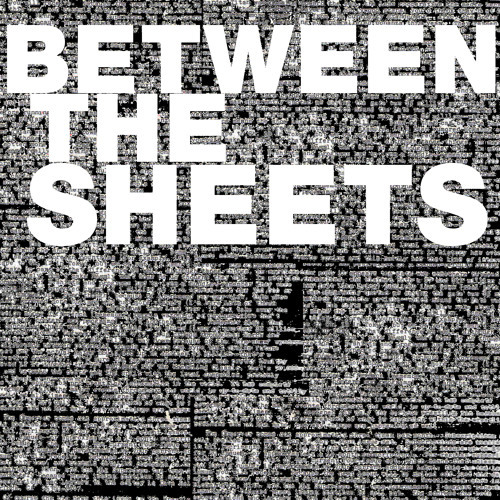 Becoming a Between the Sheets Patron will also get you exclusive access to not only the monthly themed episode of Between the Sheets, but also access to our new mailbag segment, a Patron-only chat room on Slack, and anything else we do outside of the main shows! You can also support the show by shopping with our Amazon referral link at TinyURL.com/BTSAmazon (go to TinyURL.com/BTSAmazonUK if you’re in Europe)— Nothing extra comes out of your wallet, but Amazon gives us a kickback for referring you to them. For the best in both current and classic indie wrestling streaming, make sure to check out IndependentWrestling.tv and use coupon code BTSPOD for a free 20 day trial! (You can also go directly to TinyURL.com/IWTVsheets to sign up that way.) To subscribe, you can find us on iTunes, Google Play, and just about every other podcast app's directory, or you can also paste Feeds.FeedBurner.com/BTSheets into your favorite podcast app using whatever “add feed manually” option it has.